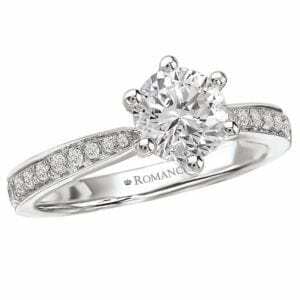 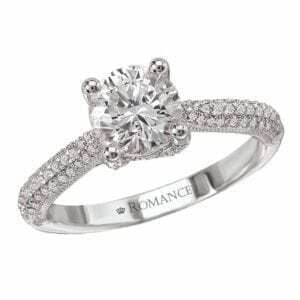 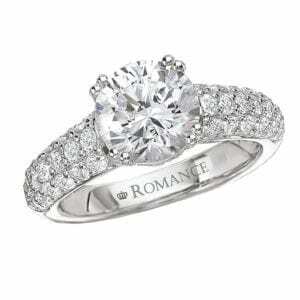 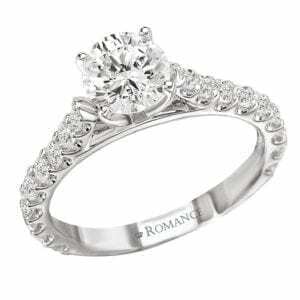 25132 Diamond Engagament Ring 0.79 Ctw. Domed Micropave halo engagement ring with open gallery and decorative petal accents. 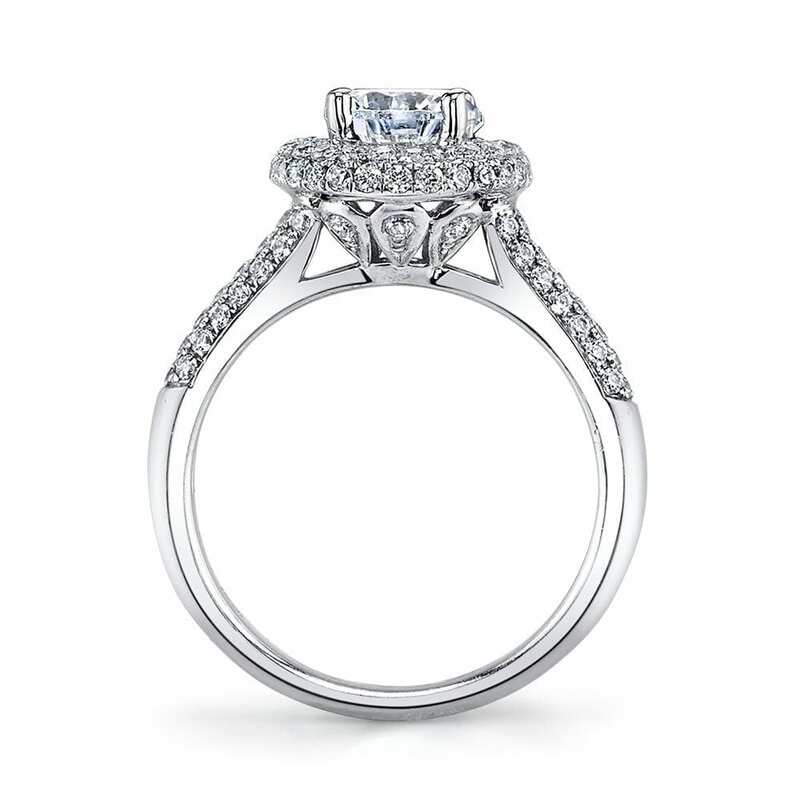 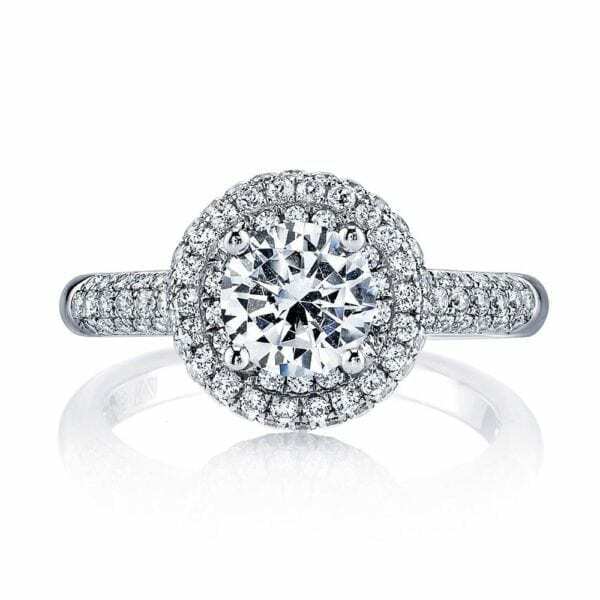 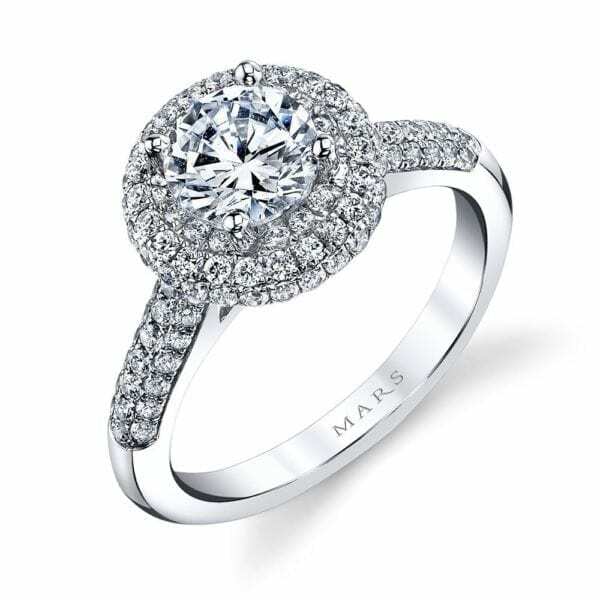 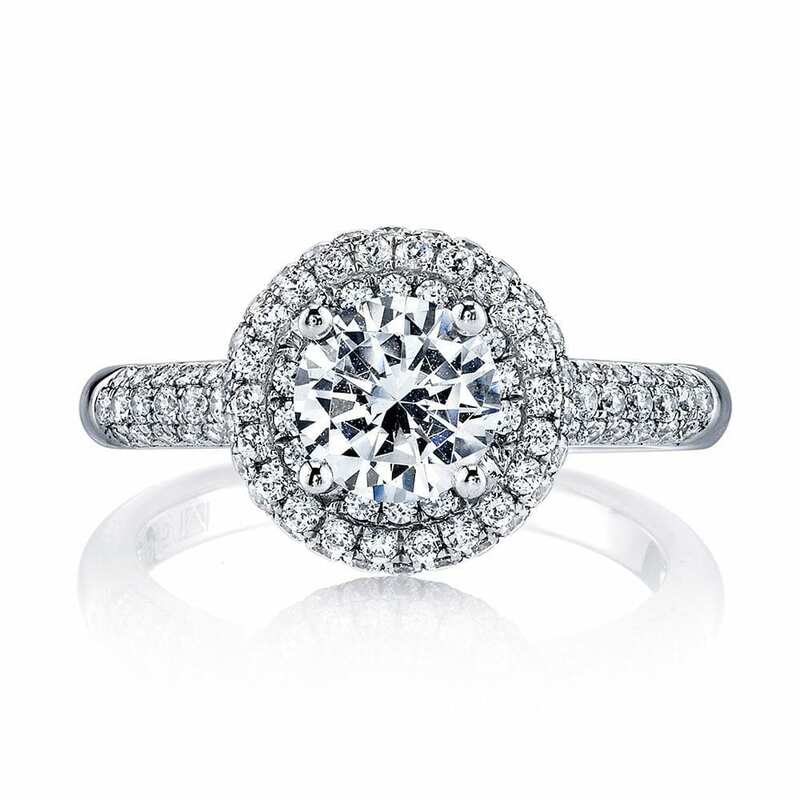 This engagement setting features a: Domed Micro Pave Halo; Petal/Floral Motif; Round Halo; One Carat Round Brilliant Cut ; Center excluded from Price; 0.79 Carat Total Weight.